“Behaviour and behavioural disorders often develop as a combination of hereditary and environmental factors, which makes studying them challenging. Metabolomics, or the study of the metabolism, provides us with new clues on the biological issues underpinning behavioural disorders while promoting genetic research. At the moment, metabolomics research in dogs is rare, and the purpose of this pilot study was to examine new approaches and attain information on any metabolic abnormalities associated with hyperactivity in dogs,” explains Professor Hannes Lohi of the University of Helsinki and the Folkhälsan Research Centre. 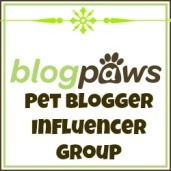 This entry was posted in dog care, Dogs and tagged behavior, canine behavior, dog behavior, dog behaviour. Bookmark the permalink.